Wall Street leader Simpson Thacher & Bartlett has made a rare London hire after recruiting high-profile Freshfields Bruckhaus Deringer partner Ben Spiers to boost its M&A practice. Spiers’ practice focuses on public and private mergers and acquisitions, securities and corporate restructurings, particularly within the TMT sector. Recent mandates include advising Hewlett-Packard Enterprises on the sale of its software business for $8.8bn to UK tech firm Micro Focus, and acting for SoftBank this summer on its £23.4bn deal to acquire UK tech flagbearer ARM Holdings, the largest public M&A deal in the UK in 2016 so far. Spiers, who spent five years heading up Freshfields’ TMT group, also served as relationship partner for Air Products, Hewlett-Packard, BT, MTN and Smith & Nephew, while other clients include Sony, Motability Operations, Axel Springer, Morgan Stanley and FMC Corporation. He spent two periods on secondment during his time at the Magic Circle law firm: the first to Hewlett-Packard in Palo Alto and the second, as a partner, to Morgan Stanley’s UK investment banking division. Despite generally avoiding the level of departures seen by many peers, Freshfields has seen a number of notable partner departures in the last 12 months from its international offices. In April a four-partner Paris team including employment head Emmanuel Benard departed for US firm Orrick, Herrington & Sutcliffe, while New York based executive partner Michael Lacovara quit for Latham & Watkins in June. The appointment comes amid a period of explosive UK growth for Simpson Thacher, which has built up a profitable business around the firm’s core private equity and funds clients in the City. The firm’s 17-partner London practice now generates over £100m. In a post-Brexit referendum takeover which has seen turnaround group Melrose’s shares soar, Simpson Thacher & Bartlett and Weil, Gotshal & Manges have secured advisory roles as Melrose purchases US ventilation manufacturer Nortek in a deal worth $2.81bn. In the first transaction after the referendum with a UK acquirer, Melrose will acquire the manufacturing business, which has more than 90% of its turnover in North America. Turning to its long-time adviser, Simpson Thacher guided Melrose through the acquisition while Weil acted as legal counsel to Nortek. Melrose had been on the lookout for new businesses to acquire following its purchase of Elster Group, which Simpson Thacher also advised the buyout group on. German Gas, electricity and water meter manufacturer Elster, advised by Allen & Overy, was sold for £3.3bn to American international conglomerate Honeywell last year. Other mandates which Simpson Thacher has led on include acting for Melrose in 2011 on its contested public offer for Charter International, which Melrose eventually pulled out of. Weil’s team on the deal includes US corporate partners Frederick Green and Michael Francies, with public company advice from Lyuba Goltser. Also advising from New York are partners Paul Wessel, Marc Silberberg and Charan Sandhu. Banking and finance partner Chris McLaughlin acted on the deal from London. Earlier this year Weil had advised the Nortek as it faced a class action alleging defects in its products, which was thrown out by a Florida judge. Alongside Weil and Simpson Thacher, Nomura International, JP Morgan Cazenove and Bank of America Merrill Lynch also advised Melrose on the deal while Barclays, Citi and RBC Capital Markets advised Nortek. Simpson Thacher & Bartlett and Wilson Sonsini Goodrich & Rosati have advised on Microsoft’s acquisition of professional social network LinkedIn for $26.2bn. The deal, confirmed today (13 June), represents one of the largest in Microsoft’s history. Following its announcement this afternoon, LinkedIn’s share price was boosted by around 50%. Microsoft acquired LinkedIn for $196 per share. The tech firm said LinkedIn’s chief executive Jeff Weiner would remain in his position, reporting to Satya Nadella, chief executive of Microsoft. Leading advisers for Microsoft were Simpson Thacher’s co-head of M&A Alan Kline and partner Anthony Vernace. Other partners on the deal included employment partner Gregory Grogan, IP partner Lori Lesser, tax partner Jonathan and Goldstein derivatives partner Joyce Xu, who are all based in New York. Finance partner Bill Brentani also advised out of Palo Alto. Kline has represented Microsoft on three marquee deals, its $7.2bn purchase of Nokia’s phone business in 2013, its $8.5bn acquisition of video calling service Skype in 2011 and its investment in Barnes & Noble’s Nook business back in 2012. Wilson Sonsini’s team acting for LinkedIn included M&A head Martin Korman alongside partners Brad Finkelstein, Katharine Martin and Doug Schnell. The Wilson Sonsini’s team also included partners Selwyn Goldbery and TJ Graham on technology, partners John Aguirre and Scott McCall on employee benefits, and partners Elizabeth Pterson and Boris Feldman on litigation who provided litigation advice. Further Wilson Sonsini partners also provided advice on regulatory, tax, data protection, real estate, finance and governance aspects of the transaction. Wilson Sonsini acted for the networking site in 2014 when it entered an agreement to buy marketing firm Bizo for $175m, and also in July of that year when LinkedIn purchased Newsle, a social media alerts service for an undisclosed sum. Microsoft was previously advised by Linklaters on its $2.5bn deal for the online video game Minecraft in 2014. Despite a looming Brexit referendum swaying levels of transactional activity, certain law firms are enjoying a healthy pipeline of deals with Simpson Thacher & Bartlett emerging on top for global M&A deal value in Q1 2016. According to Dealogic data, the firm worked on $101bn worth of deals at announcement, a total of 26, constituting 13% of market share. Major mandates under its belt include advising on China National Chemical Corp’s $43bn bid for Swiss seeds and pesticides group Syngenta, in what will be the largest ever acquisition by a Chinese firm; and acting on the $16.5bn merger of industrial company Johnson Controls and security provider Tyco. While M&A rankings are notoriously hard to interpret, with US securities and secondary roles typically inflating the position of non-European law firms, such figures support the argument that US-bred advisers are steadily pushing into premium deal work in the region. Other firms to appear in the global top ten for the first quarter included Davis Polk & Wardwell in third place with $77bn worth of deals, Jones Day in fifth with $57bn, and Freshfields Bruckhaus Deringer with $49bn worth of deals. For European M&A lawyer rankings, US firm Davis Polk & Wardwell took the lion’s share with $59bn worth of deals, followed by Fangda Partners at $51bn, Homburger in third at $50bn, Simpson Thacher in fourth at just under $50bn. 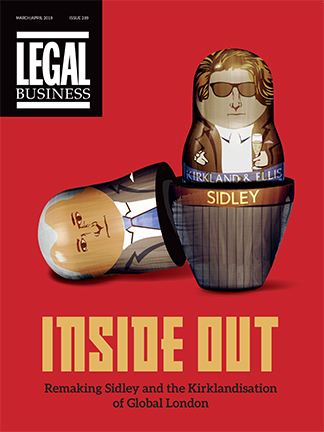 Magic Circle firms Freshfields and Allen & Overy placed seventh and ninth respectively while Weil Gotshal & Manges took the tenth spot with $12bn worth of deals. For US M&A rankings Simpson Thacher also came top, with $51bn worth of deals, a total of 17, and marking 16% of market share. Jones Day came second with deals valuing at $47bn, a total of 81, and constituting 14% of market share. Other firms in the top ten included Weil Gotshal in third, Wachtell Lipton Rosen & Katz in fourth, and Kirkland & Ellis in fifth place. Simpson Thacher & Bartlett, Davis Polk & Wardwell, and Swiss firm Bär & Karrer have landed key advisory roles on China National Chemical Corp’s (ChemChina’s) $43bn bid for Swiss seeds and pesticides group Syngenta, in what will be the largest ever acquisition by a Chinese firm. Simpson Thacher is advising China’s state-owned ChemChina on M&A, acquisition finance and regulatory aspects with a team led by partners Alan Klein, Shaolin Luo, Chris May and Sinead O’Shea, alongside Homburger. Davis Polk & Wardwell and local Swiss firm Bär & Karrer are acting for Syngenta. HSBC is arranging the debt financing for the deal, with advice from Linklaters, who is acting with a team led by London banking partner Brian Gray. Clifford Chance is advising ChemChina’s financial adviser China CITIC Bank with a team led by Maggie Lo. Clifford Chance has acted for ChemChina in the past, advising on its $7.7bn bid to buy Italian tire-maker Pirelli. The deal announced last year, gave Chinese investors a significant foothold in Italy’s manufacturing industry while signalling continued Chinese investment into Europe. Davis Polk and Bär & Karrer previously worked together advising Syngenta in its defence of a takeover proposal by agriculture company Monsanto. Simpson Thacher & Bartlett, Wachtell, Lipton, Rosen & Katz, A&L Goodbody and Arthur Cox have all landed roles advising on the $16.5bn merger of industrial company Johnson Controls and security provider Tyco – a deal that will lower the new company’s tax bill. The US maker of car batteries and heating equipment Johnson Controls will combine with Cork-based Tyco, with the merged companies’ headquarters to be based in Tyco’s homeland Ireland. The combined company will be renamed Johnson Controls and will be domiciled in low-tax Ireland. The deal is expected to save the new company at least $150m in annual tax. The combination will be tax-free to Tyco shareholders and taxable to Johnson Controls shareholders. Simpson Thacher represented Tyco International led by New York-based M&A partners Alan Klein and Elizabeth Cooper. Irish firm Arthur Cox also provided advice with corporate partner Stephen Ranalow leading alongside with corporate partners Maura McLaughlin and Geoff Moore, with Fintan Clancy on tax and Phil Cody on finance. Skadden Arps represented Tyco’s lead financial adviser Lazard with corporate partners Eileen Nugent and Michael Chitwood acting. Citi provided the committed financing for the transaction and Goldman Sachs served as financial adviser for Tyco. Wachtell and A&L Goodbody advised Johnson Controls, with Cleary Gottlieb Steen & Hamilton leading on competition aspects. Cleary’s antitrust team on the deal is led by Washington based partner Brian Byrne, and Brussels based partner Nicholas Levy. Centerview Partners served as lead financial adviser, with Barclays also advising. Under the terms of the agreement, Johnson Controls shareholders will own approximately 56% of the equity of the combined company and receive aggregate cash consideration of approximately $3.9bn. Current Tyco shareholders will own approximately 44% of the equity of the combined company. The transaction is expected to complete by the end of fiscal year 2016 subject conditions including regulatory approvals and consent from the shareholders of both companies. By moving its headquarters to Cork, Johnson Controls becomes the latest US firm to exploit Ireland’s lower tax regime, in an inversion deal similar to last year’s planned Pfizer-Allergan deal. Firms to win mandates on that deal include Wachtell, Skadden, Arps, Slate, Meagher & Flom; and A&L Goodbody acting as Pfizer’s legal advisers, alongside Morgan Lewis and Clifford Chance. Debevoise & Plimpton acts for Pfizer’s financial advisers. Allergan turned to Cleary Gottlieb Steen & Hamilton, Latham & Watkins and Arthur Cox for the deal. Simpson Thacher & Bartlett has promoted nine new partners across the firm, including three in London, while fellow Wall Street elite firm Sullivan & Cromwell has only promoted in the US in its latest round. Carol Daniel, who is one of the new Simpson Thacher partners promoted in the London office, has experience working for private equity sponsors, issuers and underwriters on their high yield bond offerings, restructurings, initial public offerings and other corporate finance transactions, as well as representing corporations and private equity sponsors in a variety of leveraged buyouts transactions and general corporate and securities law matters. The firm also made up Wheatly MacNamara, who is a member of the firm’s real estate department and focuses on private equity real estate acquisitions. Private funds practitioner Seema Shah is the third lawyer in the City who was made up to partner. Shah’s focus is in the sponsoring and operation of private investments funds. Simpson also made up six partners in New York across a variety of practice areas including capital markets, litigation, banking, derivatives and M&A. Sullivan & Cromwell has also carried out a round of internal promotions, although all of these have been made in the US. The firm made up six partners: five in New York and one in Washington DC. The majority of the New York-based lawyers work across the firm’s corporate practice. . In Washington DC Kathleen McArthur’s practice focuses on complex commercial litigation, regulatory enforcement proceedings and internal investigations. McArthur has represented companies in a variety of inquiries by the Commodity Futures Trading Commission, the Securities and Exchange Commission and the US Department of Justice, as well as in securities class actions, shareholder derivative litigation and other commercial disputes. All partnership promotions are effective 1 January 2016. Wall Street leaders Davis Polk & Wardell and Simpson Thacher & Bartlett are lead advisers on Anglo-Swedish pharma giant AstraZeneca’s $2.7bn acquisition of California-based biopharmaceutical company ZS Pharma. The deal is the latest in a wave of takeover deals in the healthcare industry, including the potential $100bn merger of AstraZeneca and Pfizer, which came to a halt last year. Last week Dublin-based Shire moved to acquire US firm Dyax for $5.9bn, in a deal which Ropes & Gray‎, Slaughter and May, Davis Polk and Sullivan & Cromwell all advised on. Under this latest agreement, AstraZeneca will acquire all of the outstanding capital stock of ZS Pharma for $90 per share in an all-cash transaction. ZS Pharma instructed Simpson Thacher with corporate partners Kevin Kennedy and Kirsten Jensen, employment partner Tristan Brown, tax partner Katharine Moir and IP partner Noah Leibowitz. The transaction is expected to close by the end of 2015. AstraZeneca has used a range of firms in the past, including RPC on its move to a new headquarters in Cambridge in 2013, and Covington & Burling when it purchased Spanish healthcare group Almirall for $2.1bn in 2014. White & Case, Simpson Thacher & Bartlett and Slaughter and May have all won roles as CVC Capital Partners, Vatera Healthcare and Singaporean sovereign wealth fund Temasek teamed up to buy a controlling stake in pharmaceutical firm Alvogen. Although White & Case has an historic relationship with CVC stateside, this is the first work led out of London for the European private equity fund that led on the deal for the consortium. The firm’s team was led by partners Ian Bagshaw (pictured) in London and Oliver Brahmst from New York and included New York partner Brian Smarsh, plus Justin Wagstaff and Marcus Booth, both in London. The deal, which reportedly values Alvogen at $2bn, saw a club of investors including CVC, Temasek and Vatera Healthcare purchase a controlling stake in the pharma company from Pamplona Capital Management. Simpson Thacher led for Alvogen and Pamplona with a team including Peter Martelli in New York and Clare Gaskell in London. Lowenstein Sandler provided additional advice to Pamplona, which only bought its stake in the company with operations in 35 countries last year. Those other point of views saw Slaughters win a role acting for Temasek with a team led by Nigel Boardman while biotech/pharmaceutical investment specialist Vatera was advised by Wilkie Farr & Gallagher. The company has over 200 projects in development and registrations plus 350 marketed products. Aztiq Pharma, an investment vehicle led by Alvogen’s chief executive Robert Wessman, is retaining a stake while Pamplona will also keep a small stake. CVC has previously turned to a raft of firms for its corporate work including Clifford Chance and Cleary Gottlieb Steen & Hamilton. The financial crisis ushered a wave of new regulations aimed at mitigating systemic risk to the financial system. While no-one has been able to rationally point a finger at private funds as a cause of the crisis, the industry has nonetheless seen a dramatic rise in the level of regulation and scrutiny. As legal and compliance costs soar, one is hard-pressed to find a private fund manager or – perhaps more importantly – an investor welcoming these changes. In Europe, the Alternative Investment Fund Managers Directive (AIFMD) came into force in July 2013 and imposed a wide range of requirements on private fund managers in areas ranging from marketing, conduct of business, custody and safe-keeping of assets, capital requirements and reporting, and disclosures to investors and regulators. These regulatory requirements have largely been imposed using a one-size-fits-all approach, under which a single set of rules applies to funds with significantly different operating models (eg buyouts, venture capital, real estate, credit/debt funds, hedge funds). This, together with the vagueness of the legislation and the differing interpretations of its provisions among EU member states, has resulted in a complex and unwieldy regime, which has created significant legal uncertainty for private fund managers looking to market their fund into the EU or seeking to manage an EU fund. On the other side of the Atlantic, the major legislative response to the financial crisis has been the Dodd-Frank Wall Street Reform and Consumer Protection Act (Dodd-Frank). Dodd-Frank eliminated the ‘private adviser’ exemption that many investment advisers to private funds relied on and replaced it with several narrower exemptions so that Securities and Exchange Commission (SEC) registration requirements now extend to virtually all US-based private fund managers and many foreign fund managers with US operations. SEC registration requires compliance with a number of onerous obligations, including the requirement to have a chief compliance officer, and the requirement to comply with extensive reporting (eg Form ADV and Form PF filings) and record-keeping obligations. Both AIFMD and Dodd-Frank have come under heavy fire from participants in the private funds industry. While resistance to change is to be expected, there are legitimate concerns that the regulatory burden imposed on private funds is not matched by a public policy benefit. It is likely too soon to tell if the new regulatory regimes provide an effective framework to oversee and mitigate systemic risk; what is clear, however, is that the new regulations are having a transformative (and not necessarily welcome) effect on the private funds market with likely lasting consequences. The cumulative weight of new regulation has inevitably meant the cost of doing business has increased significantly. The increase in costs is principally a function of an increase in back-office compliance staff and in services provided by outside legal counsel, consultants and third-party services providers (eg depositories), as well as investment in additional technology to enable private fund managers to improve their data management and reporting processes. The increase in regulation has also resulted in firms having to institutionalise their operations to cope with more bureaucracy and red tape. This has resulted in a more systematic approach to operations and a greater emphasis on process, checklists and prompts to ensure that all boxes are checked correctly and on time. While many larger firms already have much of the infrastructure in place to absorb incremental compliance work, smaller and mid-size firms are having to employ new dedicated resources to manage the increased burden. As a consequence, the increased compliance burden is likely to have a disproportionately adverse effect on smaller/mid-size firms, who are likely to see a greater impact on profitability. In turn, such incremental costs may serve as a force to drive a consolidation of assets under management in an effort to exploit administrative economies of scale, resulting in less choice for investors. Further, as the private funds industry becomes a more capital-intensive business with greater upfront working capital requirements, barriers to entry will increase. As such, we are likely to witness fewer first-time fundraisings and team spin-outs in future, again to the detriment of investors. In addition, the prospect of complying with AIFMD has also deterred a number of non-EU fund managers from actively marketing their funds in Europe, again resulting in less choice for European investors. Whether the new regulations will play a role in preventing or in formulating an effective response to the next financial crisis remains to be seen. In the meantime, as the frictional costs of doing business increase and are ultimately passed onto investors, the impact on returns for traditional investors in private funds will be negative. Private fund managers will continue to seek solutions to streamline their compliance operations to meet regulatory obligations more efficiently. It seems clear, however, that the larger fund managers have an opportunity to entrench their dominant positions and increase their competitive advantages over smaller rivals. Conversely, the future outlook for managers of small and mid-size private funds looks distinctly more challenging. Jason Glover is a partner in Simpson Thacher & Bartlett’s London office.